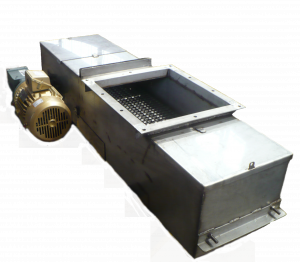 A design originating with Sackett-Waconia in 2007, the mesh chain feeder, was initially developed for our Declining Weight (DW) blending system. 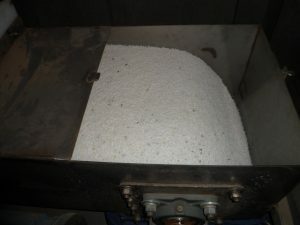 They provide a smooth, uniform, flow that is gentle on the granules while allowing for a deep material bed. They feature adjustable gates for flexibility as a standard and have a capacity up to 140tph. Mesh chain features also come with direct-coupled drives in order to save on space and maintenance. 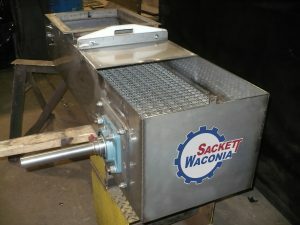 With over 20 years of proven reliability, the Sackett-Waconia Mesh Chain feeder is tough, reliable and provides flexibility to DW system.